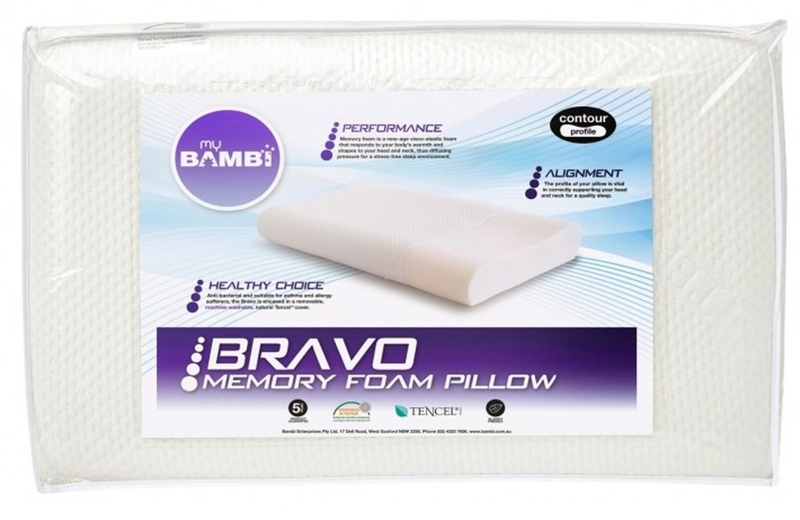 The Bambi Bravo Contoured Memory Foam Pillow is a new-age visco-elastic foam that responds to your body's warmth and shapes to your head and neck, thus diffusing pressure for a stress-free sleep environment. This premium quality pillow will assist you to get the good night's sleep you deserve. Contoured pillows support the head and cradle the neck, helping you wake up refreshed and ready for the day ahead. Designed to help alleviate and avoid both old and new neck problems.